I started my first company as a high school student. What began as a mere conversation in passing with a teacher of whom I barely knew turned into the best opportunity I’ve been fortunate enough to have. He approached me on his own time, wanting to pick my brain about virtualizing the faculty’s professional development logging process. All educators are required to maintain certifications in their content areas if they wish to continue teaching. Each certification requires its own sum of professional development hours that must be logged, sorted, and kept in a database. Knowing absolutely nothing about this so-called “professional development,” I decided to take on the challenge. Why not, right? I worked closely with him for the remainder of my high school career and, upon graduation, handed my completed professional development logging app over to him. But he wouldn’t accept it! Instead, he wanted me to keep working on the web app and offered me a deal through the school to compensate me for my services. In shock and awe, I did just that. I poured hundreds of hours, day and night, into my creation. It became such a success that I was contacted by other interested schools who had heard about my product via word of mouth. Over the last three years, I’ve been able to meet countless faculty, staff, principals, and deans. 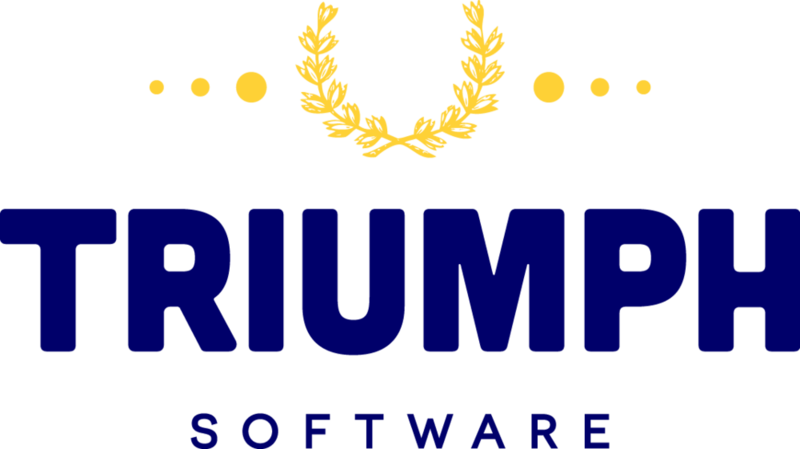 A sophomore at the University of New Hampshire, I am continuing to program the professional development logging platform which I named Loggit, and have branded it under my startup company, Triumph Software. I’m at the point along my journey where I am now contacting investors and learning how we can help each other through my endeavor. I reflected on my tremendous luck, laughed incredulously, and thought, “Of all people, why did this happen to me?” It wasn’t luck, I came to realize. No, not at all. I earned that opportunity through my positive attitude and unwavering tenacity. In middle school, I had taken an interest in computing and pursued that passion relentlessly. Programming for myself was fresh and exciting at first, but my inability to come up with new problems to solve made me grow bored. Seeking new opportunities, I volunteered my time to help others with their problems. Whether it was connecting a computer to a projector or maintaining a firewall; I learned to do it all. In a fetal attempt to sate my ceaseless hunger for knowledge, I participated in the school’s computer club and worked closely with the Information Technology department. Through this work I developed a reputation among the students and faculty as a hard worker and a diligent student. My altruism earned me recognition as a kind and dependable young man. When this teacher was faced with the painstaking task of sorting through actual pounds of professional development paperwork, he looked to me to develop a software solution because of relationships in our technology department that I had nurtured from around the district. Who knew I’d go from a tech junkie - a problem-solving addict - to a seventeen-year-old entrepreneur? I certainly didn’t. I urge you to never underestimate the power of word of mouth. For all you business majors out there: word of mouth is essentially free advertising, not to mention that a recommendation obtained through a voluntary vouch is the strongest type of referral there is. Pursue your passions by helping others, and you will develop a strong rapport among your community. It’s a gift that keeps on giving; handle it with care. A healthy rapport requires constant attention and development. You truly never know what could happen from a good rapport. In my case, I was given the incredible opportunity to pursue my dreams: to start my own software company and become my own boss. Your rapport extends well beyond the relationship between you - the entrepreneur - and your clients. The same principles apply with investors. Understanding who your investors are and the role they play in your future is paramount to establishing a close, harmonious relationship with them. You had better believe investors also communicate with your clients, closing the triangle. They want to know from your clients who you are as a person. Mastering the rapport with your clients establishes a robust foundation imperative to fostering the growth between you and your investors. 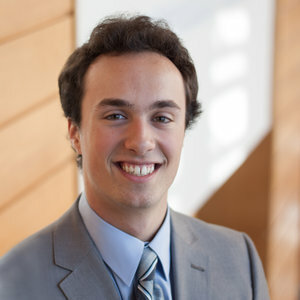 Dylan Wheeler is a first year associate of the Rines Angel Fund. With a background in software development and a passion for problem-solving, he is a valuable asset to the Fund. Learn more about Dylan.